Not all coconut oil is created equal. 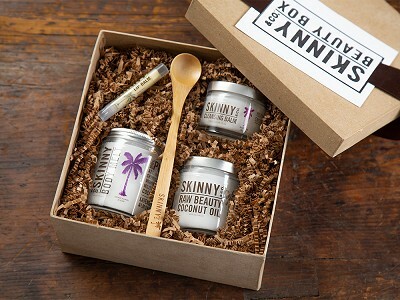 That is why Skinny & Co.’s coconut oil body care is so special—they make theirs the slower, more labor-intensive way, to ensure none of its natural goodness gets left out. It’s Made in the USA from coconuts harvested by hand in Vietnam. They cold press the oil to keep it raw, because heat can destroy its natural benefits. This method takes more time and uses more coconuts, too. The result is worth it, though—completely pure, nutrient-rich coconut oil. After all of that hard work, Founder Luke Geddie isn't about to mess the raw oil up. So he avoids adding chemicals, fillers, and preservatives. 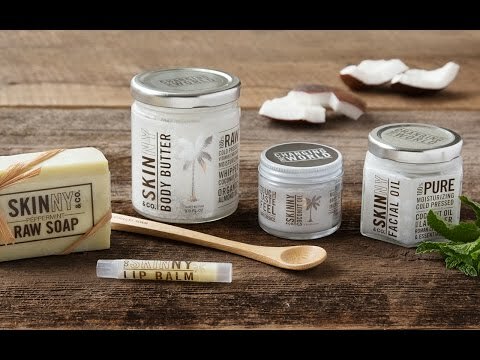 In fact, everything Skinny & Co. makes has five all-natural ingredients or fewer, like shea butter and vitamin E, to compliment the coconut oil. Use it to boost moisture in skin and hair, as cooking oil, or in oil pulling to help whiten your teeth and cleanse your mouth. Whichever way you use this amazing multi-tasker, raw is definitely the way to go. Hi Grommet Friends! I'm Kaylyn Easton, CMO of Skinny & Co. We know you'll love our 100% raw, alkaline coconut oil along with our entire chemical-free beauty line made with five or fewer ingredients. I'll be here all day to answer your questions and talk with you about the Skinny difference. Hi Kaylyn, what are the benefits of a raw coconut oil? @Tela Thanks so much for asking! There are lots of benefits to our raw, alkaline coconut oil. As a consumable food, the alkalinity helps to balance your body's pH and acidity that we experience on a daily basis from environmental toxins and food. Our oil also has higher levels of medium chain fatty acids that allow your body to absorb the nutrients easier. Some of the benefits shown are increased metabolism, weight loss, brain function, blood sugar maintenance, higher levels of energy, better digestion, and adding healthy fats into the diet. On a skincare level, the coconut oil is able to fully penetrate all three layers of your skin making it great for hydration and nourishment. Try it as a hair mask as well! You can also trust that our coconut oil is truly chemical-free and safe for every member of the family including babies and pets. I am curious (and maybe I missed it) about putting the coconut oil in your mouth. Can you explain that? Hi kaylyn, I'm a big fan of oil pulling with raw coconut oil. I use the one they sell at the grocery store. Yours contains essential oils in it, I'm curious why. Does it add any benefits? @Marie-Eve Hello Marie-Eve! We add the peppermint essential oil to make the taste more refreshing and minty. We find that it's much more enjoyable to swish oil in our mouths for 20 minutes with the peppermint taste. Also adds to the fresh breath benefit. Remember to make sure your oil pulling is alkaline to ensure it is safe for tooth enamel and dental work. @Kaylyn Can you pleasee explain what you mean by "Remember to make sure your oil pulling is alkaline to ensure it is safe for tooth enamel and dental work." What needs to be alkaline - the water, coconut oil, mouth, combination? And how do we know if it's alkaline? @Martha Great question! You want to make sure the oil is alkaline so it isn't damaging the teeth as you swish. Unfortunately most all other coconut oils on the market are acidic due to their creation process. Our patent-pending Nutralock System ensures an alkaline oil. I haven't personally come across another coconut oil that is truly alkaline. For Oil Pulling, an oil that is acidic will slowly eat away at your enamel. In general, there is lots of information online about the benefits of pH balanced health and alkalinity. I have used these products for the last six months. The oil is great on toast, as a face and body moisturizer, lip moisturizer, and hair product; it's the most versatile product I have ever purchased. 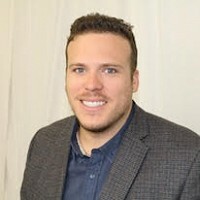 I have had problems with canker sores or "mouth sores" with as many as 8 on my gums and/or tongue at one time. They are painful and nothing I have tried has prevented then or speeded the healing process....until Skinny & Co. Within two days of using the pulling oil, the sores were gone. I haven't seen it advertised for canker sores, but it pulls impurities so I thought I would experiment. Thanks for a wonderful product! @Martha Hi Martha! Thank you so much for sharing your story and experience with Skinny products. I am thrilled they have been so helpful, especially with the canker sores. It's amazing what top-quality, pure products can do for the body! 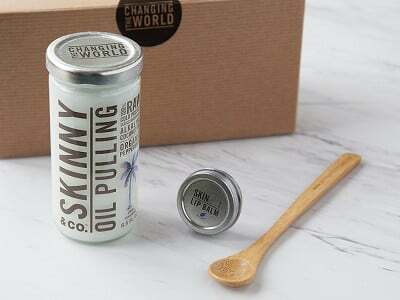 Thanks for being a great customer and supporting Skinny & Co.
About how many 'doses' of the oil are in an 8.5 oz bottle of the Pulling Oil? @Yvonne Hello! It depends on how big of a spoonful you like to use. I normally do about a teaspoon for 20 minutes and there are 51 tsp. in 8.5 ounces. If you like a bigger scoop, then it will go faster. Are there smaller sizes available? I would love to try your products, particularly the pulling oil, but they seem expensive if it turns out I don't like it or benefit from it. @Judy Hi Judy! We do have alternate sizes available. Feel free to contact The Grommet about making them available on their site. Thanks for reaching out! Will you be offering all of your products for individual sale at some point? Before I go in spending a lot of money on I product I'm unfamiliar with, it would be nice to purchase, say, the whipped body or lip balm or soap alone. @Barbara Hi Barbara! We do sell our products individually and in multiple sizes. Feel free to contact The Grommet about making the individual products available on their site. Can I eat this. I would like to put it in my milk shakes? @Donna Yes! Our base coconut oil is fabulous for eating. We recommend 1-3tbsp per day. It is great for milkshakes, smoothies and even coffee & tea. It has wonderful benefits when you consume it, such as boosting of metabolism and immune system. I noticed that there is palm oil in the body care products. While I am tempted to use these products, I understand that harvesting palm trees for the oil is destroying the orangutan's natural habitat. Can you please comment on the sourcing of the palm oil in your products? Also, are the essential oils processed or diluted to include synthetic chemicals? Thank you for your time! @Kathy Great question, we source our palm oil sustainably from Vietnam. We ensure no adorable orangutans or the jungle is harmed in any capacity. Everything we do is sustainable, our goal is to leave our wonderful planet better than we found it. Our essential oils are 100% pure therapeutic grade. No dilution or chemical processed. All are steam distilled. Everything we do is 5 or less ingredients and direct from the source :). Not all coconut oil is created equal. 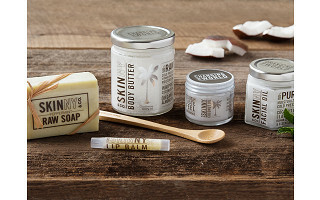 That is why Skinny & Co.’s coconut oil body care is so special—they make theirs the slower, more labor-intensive way, to ensure none of its natural goodness gets left out. 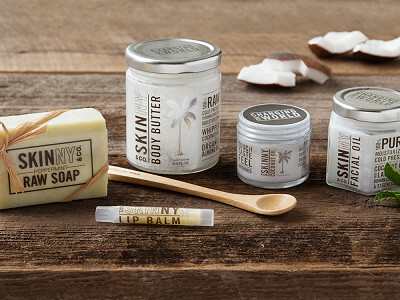 It’s Made in the USA from coconuts harvested by hand in Vietnam. They cold press the oil to keep it raw, because heat can destroy its natural benefits. This method takes more time and uses more coconuts, too. The result is worth it, though—completely pure, nutrient-rich coconut oil. After all of that hard work, Founder Luke Geddie isn't about to mess the raw oil up. So he avoids adding chemicals, fillers, and preservatives. 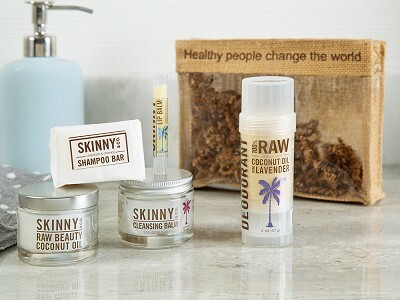 In fact, everything Skinny & Co. makes has five all-natural ingredients or fewer, like shea butter and vitamin E, to compliment the coconut oil.